We spent a short four days in February of 2015 in Brussels. an amazing city with so much to offer, Brussels is a city of character and life. If you find yourself here, perhaps this guide of what we experienced will help you, too. While in Belgium, Sheila took 123 photos. Below is a sampling of some of those from Brussels. The full set is on Flickr. Graffiti is prevalent in Brussels. Some are more artistic than others. This was such an almost overwhelming impressive area. 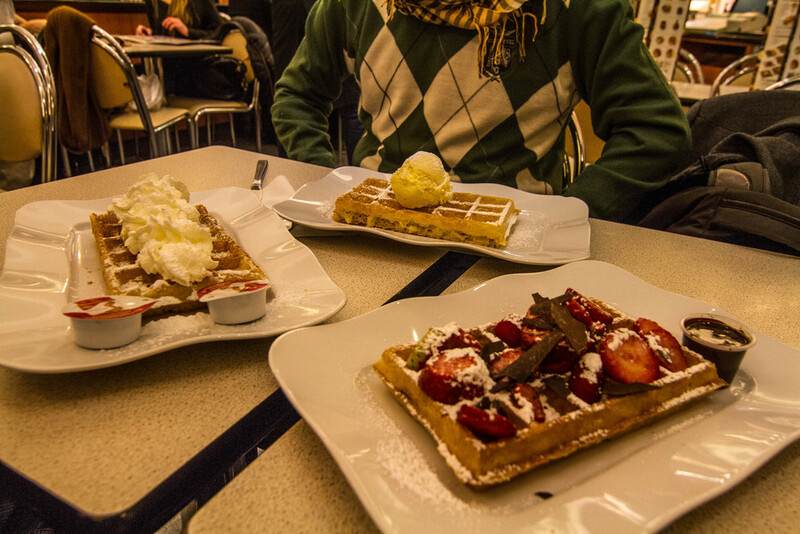 There are three things food wise that Belgium is known for: beer, chocolate, and waffles. I can honestly say all three are spectacular. Centraal Station is the main hub for all the trains. 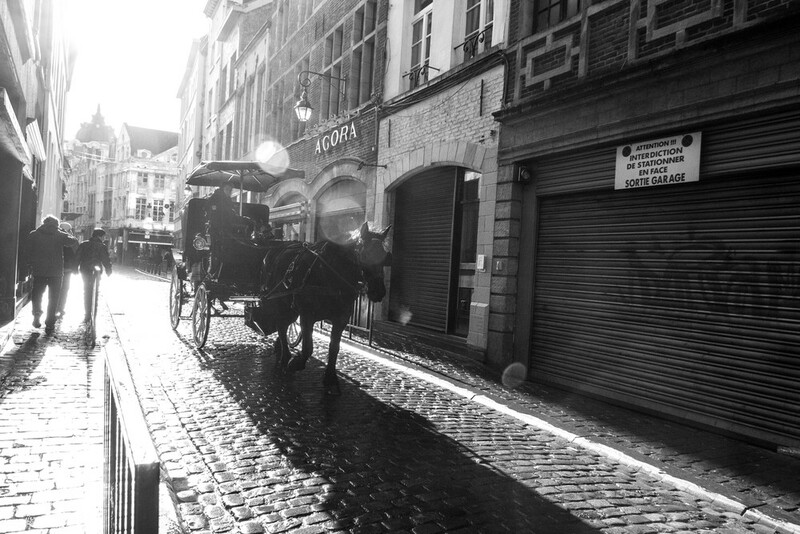 A horse drawn carriage takes visitors through the streets of Brussels. A lone sax player serenades shoppers in the streets of downtown Brussels. Outside of the city lights of Brussels, we happened upon this statue and the moon. While eating at L'Ultime Atome this piece of art was on the wall. 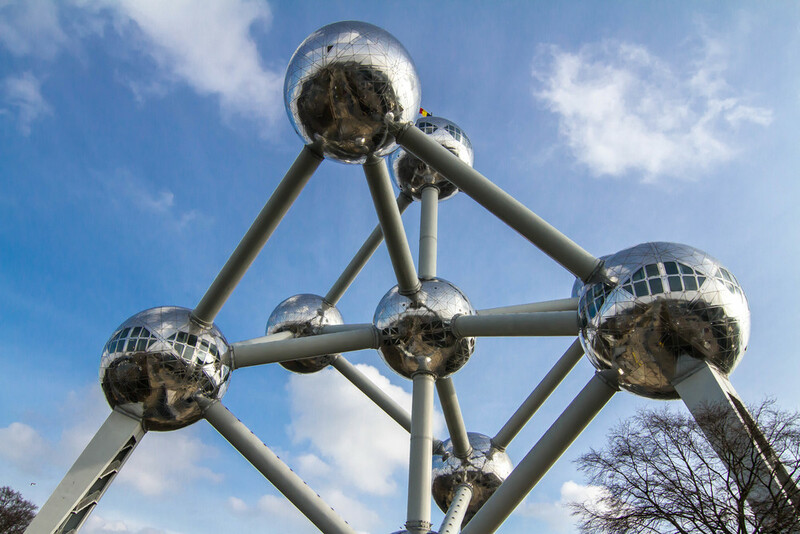 Atomium is a structure set up for the 1958 World's Fair. Now it is a major attraction for Brussels. It's not quite a guided tour, but we did record an episodes of our podcast while we were in Brussels.